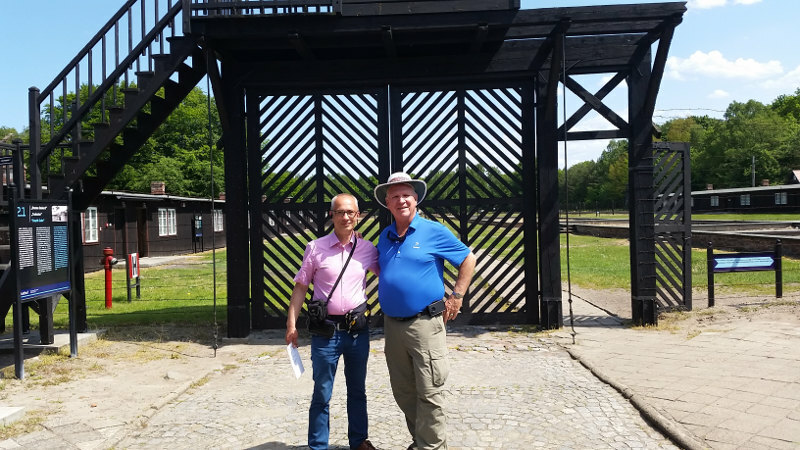 As a licenced tour guide I am passionate about history of my country – Poland and eager to share my knowledge with you – I invite You for one day private Gdańsk Tour led by myself from Warsaw – I am sure You will enjoy a fabulous Gdańsk private tour with me. Gdańsk has a thousand-year history, a city located at the crossroads of important commercial and communication routes, an extensive port and mercantile traditions – all this makes Gdańsk a meeting place of many cultures, nationalities and denominations. First informations about Gdańsk dated from 997. The defensive and urban complex as well as a port started to really form in the second half of the 10th century. Gdańsk joined the League of Hanseatic Cities ( 1361) and the fast development of the port are just some of the factors contributing to the strong position of Gdańsk in Europe. Although much of Gdańsk was destroyed during World War II– approximately 66% , the city has emerged as one of the most beautiful Baltic cities. Its history of changing between Prussian and Slavic rule has made way for a rich cultural experience for anyone who visits. You will explore Malbork’s famous medieval fortress , the largest brick castle in Europe this option is available only by car !!! You will also learn history about 15th-century Crane, used to install masts on ships. You will admire St. Mary Basilica is the largest brick built church in Europe and the largest church in Poland. Then You will explore exhibit “Roads to Freedom”, dedicated to the local struggle for freedom and justice, and the birthplace of the first Independent Trade Union “Solidarity”, represented by Lech Wałesa. Wałęsa would later be awarded in 1983 the Nobel Peace Prize, and he was elected as a second president of Poland in 1990. 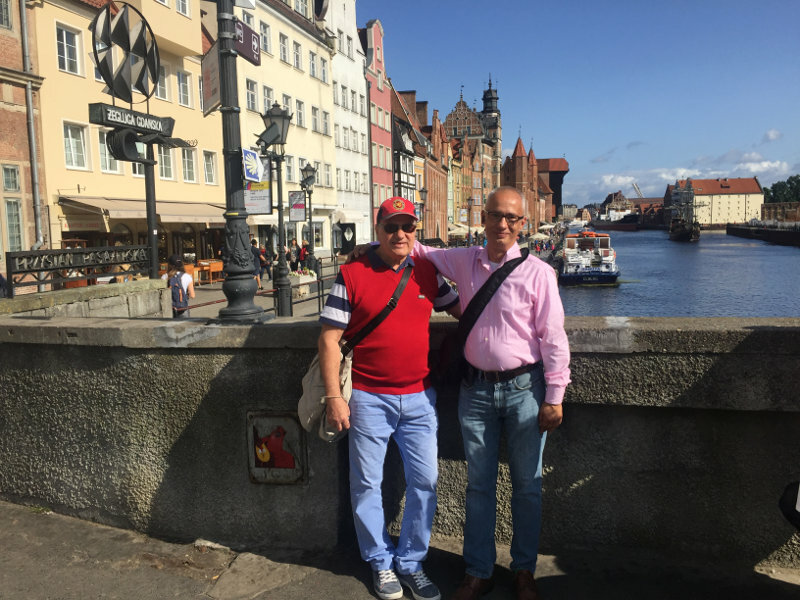 We will walk through the historic heart of Gdańsk Old Town and You will discover one of the most beautiful cities in Europe during a four hours walking tour. We will start the tour from Długa Street, site of the Old Market Square, you will pass through the historic gates of the city, visiting Arthur’s Court, Neptune Fountain, the Old Crane, and 15th-century Basilica of St Mary’s. You will soak up the charm of Gdańsk Old Town, as you walk along Długa Street, admiring superb Renaissance buildings and the flamboyant Town Hall. You will take a look at the gilded statue of King Sigismund II Augustus of Poland perched high on the Town Hall spire. 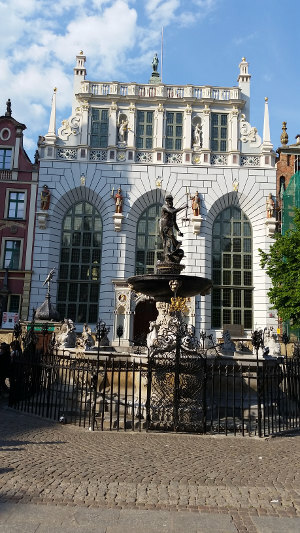 We will pass Neptune Fountain to Arthur’s Court, the former meeting place of the city’s merchants, now a branch of the Gdańsk History Museum. After a visit to the museum, we will carry on to Green Gate that overlooks the Motława River. You will enjoy an amber polishing demonstration, with a short lecture on amber, at the Amber Court, and visit the 15th century Old Crane, one of the most popular symbols of the Gdańsk, used to install ship masts and to load cargo. We will end tour at the biggest European Gothic brick church, the Basilica of St. Mary’s. After that we will transfer to Westerplatte Peninsula, an area guarding an entrance to the Gdańsk harbour, and the place where the World War II began. At that time, the Polish Military Transit Depot was fighting against Nazis 13 times its size. From there, we will continue to the Gdańsk Shipyard, the birthplace of Solidarity movement. It is also possible to extend full day Private tour from Warsaw to Gdańsk staying over for another day or two . 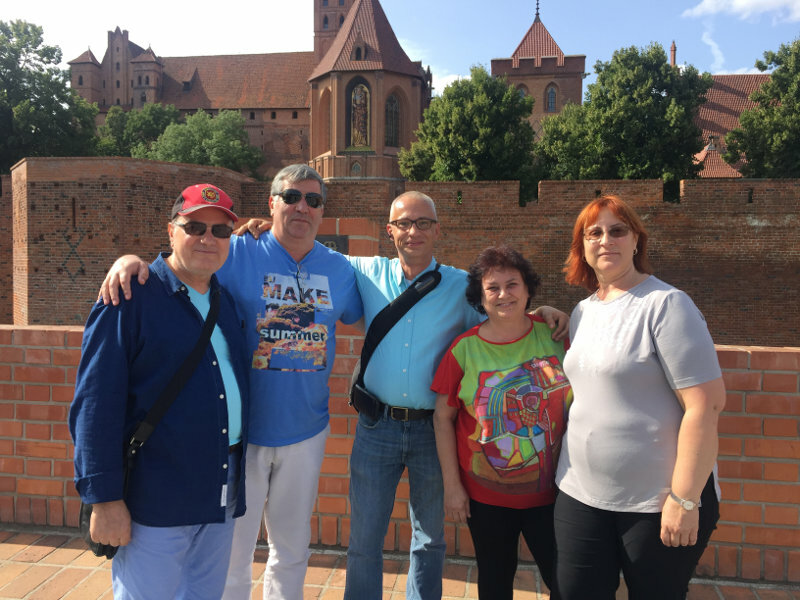 Next day in morning I will drive You to Malbork , where You will explore Malbork Castle, the medieval capital of the Teutonic Order Knights in Eastern Europe on a 5-hour tour from Gdansk. You will have a guided tour to the biggest red brick gothic castle in the world, which was inscribed on UNESCO World Heritage Site in 1997. The castle was built in Prussia by the Teutonic Knights, a German Roman Catholic religious order of the crusaders, in the form of an Ordensburg fortress. This is not only a chance to admire beautiful architecture but also to familiarize yourself with life in former times, see old technical devices, and view the Collection of Past Arms. At the castle’s cellars also You will also admire the „History of Amber” exhibition, presenting a collection of Baltic Sea amber and amber jewelry. At the end of the tour, you will transfer back to Warsaw. MALBORK CASTLE IS CLOSED ON MONDAYS !!! Stutthof concentration camp was the first established by the Nazis regim in Poland in September 1939. Camp in Stutthof was the longest operating camp in Poland- from September 1939 till May 1945 . Camp in Stutthof had been established in order to exterminate Jewish and Polish Intelligence, mainly from the Pomerania and the Free City of Gdańsk. Initially Stutthof was intended for approximately 3,000 people, gradually became the place of torment and slaughter for over 110,000 prisoners from 28 countries- 65,000 of them died as a result of exterminating living conditions as well as of executions by shooting, hanging, murdering in gas chambers by means of Cyclone B, killed by phenol injections into the heart, beating and torturing, and during evacuation by land in January 1945 and by the sea in April 1945 . Entrance to the Polish Post Office Museum -8 PLN/per person The branches Of Gdańsk City Museum are closed on Modays !! !